For other people named Christopher Rose, see Christopher Rose (disambiguation). Christopher "Chris" Rose (born January 27, 1971) is an American sportscaster for the MLB Network and NFL Network. He is currently a commentator for the Discovery Channel series BattleBots. Rose, who was born and raised in Shaker Heights, Ohio, an eastside Cleveland, Ohio suburb, attended University School in Hunting Valley, Ohio during high school and spent his childhood summers at North Star Camp. Rose attended Miami University in Oxford, Ohio and graduated in 1993. He served as station manager at the student-run radio station, WMSR. He also adores the Cleveland Indians. Rose is known as one of the hosts of The Best Damn Sports Show Period, on Fox Sports Net. Except for a brief period in 2004 and 2005, Rose hosted the show from its inception in 2001. Rose has also hosted the poker show Million Dollar Challenge. In 2007, Rose became a play-by-play announcer for Fox's coverage of the NFL. 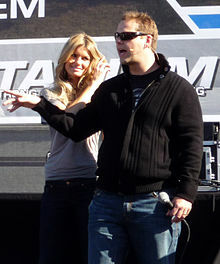 In 2006, he did Gamebreaks for the NFL coverage while Joe Buck and Curt Menefee hosted the studio coverage from the game site. He was the studio host for Fox's BCS coverage. Rose took over the revamped Fox Saturday Baseball pre game show in 2009. Rose was also the host for the World Series pre game show. He presented the World Series trophies from 2009 to 2011. He called select games as well as field reporting for MLB on FOX. He also hosted Big Shots: Titans at the Tee. During the 2010 Major League Baseball season he hosted the inaugural season of The Cheap Seats. David Cone took over the show following the 2010 season. On March 21, 2012, it was announced Matt Vasgersian would become the new pre-game host and Rose would no longer be working with the network. Rose has been criticized for appearing to be too friendly with players he has interviewed during Fox's baseball coverage. For example, during the 2009 World Series, Rose referred to Derek Jeter of the New York Yankees as "Jeets". One year later during the World Series, Rose referred to both Brian Wilson and Tim Lincecum of the San Francisco Giants as "his friends." Rose was hired by MLB Network in April 2010. A year later, he began co-hosting Intentional Talk with Kevin Millar. Intentional Talk has become one of the most popular shows on MLB Network. On August 28, 2012, NFL Network announced they had added Rose to their team. He currently is a studio host for the channel. Rose is the host of NFL GameDay Highlights, NFL GameDay Final, as well as the postgame edition of NFL Total Access following the network's Thursday Night Football. He will continue doing Intentional Talk on MLB Network even though MLB Network is in New Jersey while the NFL Network is in Los Angeles. In 2015, Rose was named as the play-by-play announcer for ABC's revival of the robot combat series BattleBots, joined by UFC commentator Kenny Florian. Rose continued his role on the revival's third season, which moved to Science Channel. ^ Fang, Ken (6 November 2010). "2nd Annual (2010) Fang's Bites MLB TV Awards". Fangsbites.com. Wordpress. Archived from the original on November 9, 2013. Retrieved 15 July 2011. ^ "A trio of sports personalities will be featured on ABC's BattleBots". Awful Announcing. 2015-06-05. Retrieved 2018-10-01. ^ "'BattleBots' Premieres on Discovery May 11". Broadcasting & Cable. Retrieved 2018-10-01.